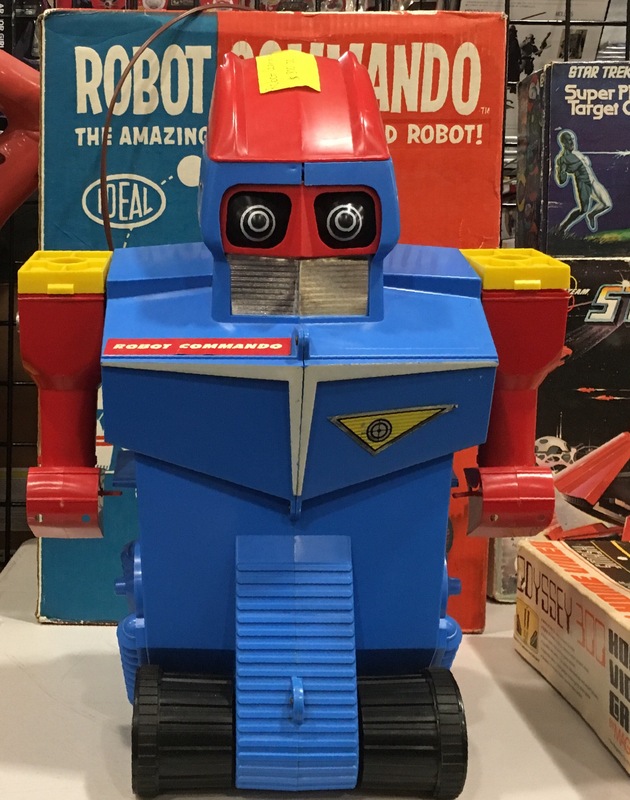 It may not be obvious from the photo, but the Ideal Robot Commando is huge! For a toy anyway. I love the color scheme on this bad boy. And the psycho the robot eyes. Unfortunately, like so many giant toys, it doesn’t really do much except look really good. 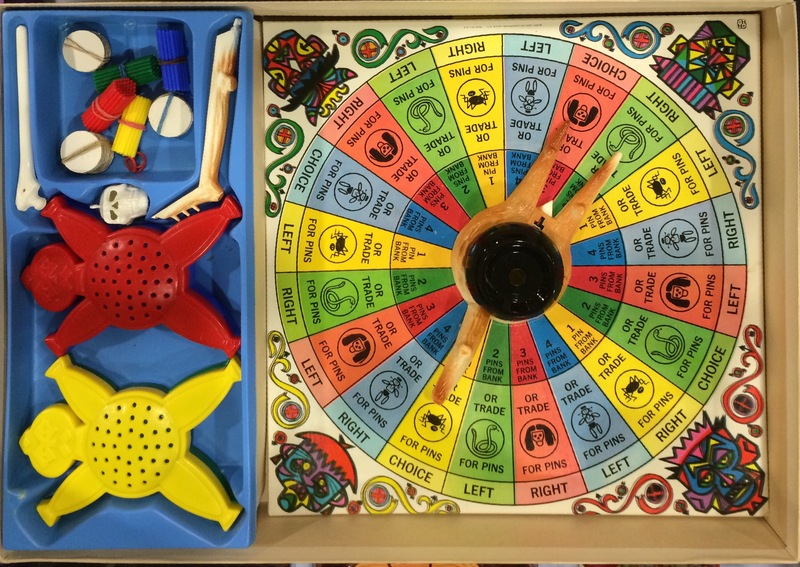 I love board games, and there were some really inventive ones back in the 60’s and 70’s, although a lot of crappy clone games with a license slapped on (amazing how that habit keeps getting repeated, no?) 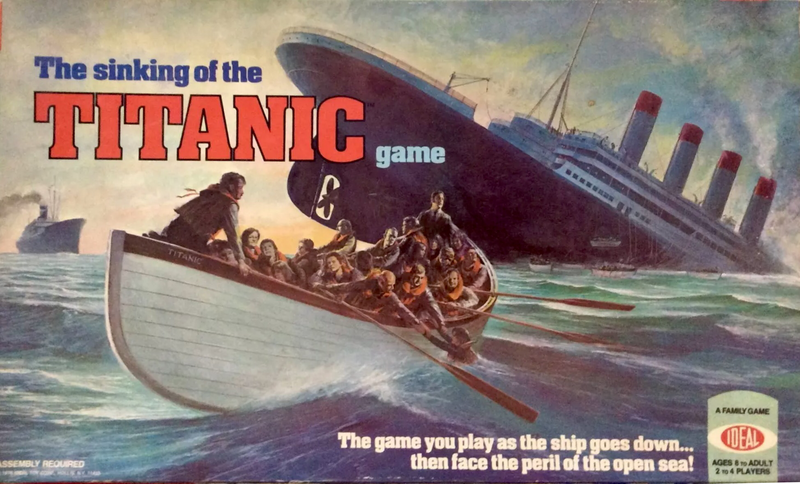 But a game about the sinking of the Titanic…that one seems a bit wrong to me. 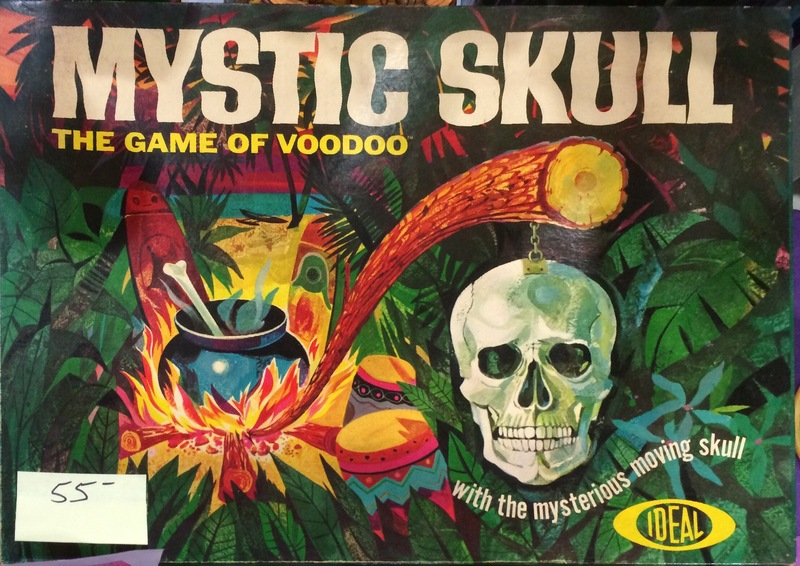 A board game with a hanging voodoo doll and the mysterious moving skull. What could be better? I love the box and board art for this game. If you were a kid in the 70s, Evel Knievel was a real life super hero dare devil. I’m from Idaho and his jump spot near Twin Falls where he tried to jump the Snake River Canyon is a place I’ve visited more than once. Given the connection, it should be no surprise I love the Evel Knievel toy line from Ideal. Skull Canyon is no Snake River, but it’s as close as a kid can get. I’d never seen one of these until several showed up all at once at a toy show. This is the kind of toy I would have begged and connived to get out of my parents. I especially love the box art. Boxes from that era did so much to stimulate the toy’s story for me. Of course, most toys back then didn’t have media tie ins, so that was part of the fun when I would get something like Mighty Max or, if I’d been supremely lucky, this beauty.